Toothaches are characterized by deep and sharp throbbing sensations in a tooth, as well as extreme tooth sensitivity. Practising a daily routing of brushing and flossing, as well as regularly visiting the dentist (at least twice a year) are effective ways to prevent such toothaches. However, if pain does occur, you can try some of the home remedies below to get some relief. You should also always see your dentist when a toothache occurs, even if the pain goes away, since there is always the risk of losing a tooth if the infection penetrates deep into the root. Most toothaches are due to a build up of bacteria and decay in the mouth, which eventually penetrate the tooth's tissue (also called the pulp, which is located at the center of the tooth). This results in inflammation, which leads to pressure and pain. 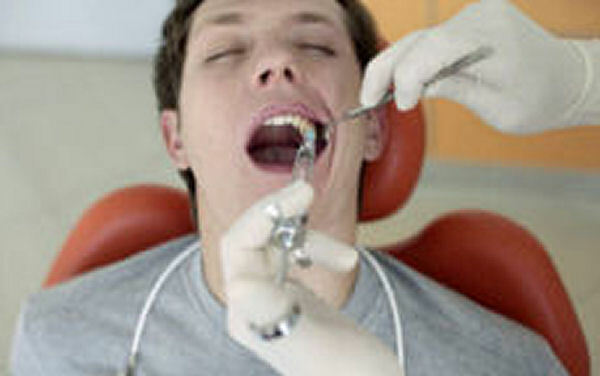 Other common causes of toothaches are gum disease, restorative dental work, and tooth fractures. The oil of cloves (also known as Eugenol) is a fantastic pain reliever for toothaches, particular those that are due to temperature sensitivity. Simply add a few drops of clove oil directly onto the tooth, cavity, or crack for some fast relief. Eugenol is often available over the counter in most drug stores. Swishing warm salt water can help to reduce toothache pain. Simply mix 2-3 teaspoons of salt into a warm glass of water and use it as a mouthwash. The salt will help clean the area around the infected tooth, and will help draw out some of the fluids that are causing the swelling and pain. A simple mouthwash using Tea Tree Oil can help provide toothache relief. Simply add a few drops of tea tree oil to a glass of water and use it as a mouth rinse, and be careful not to swallow. The tea tree oil will penetrate into the gums and de-sensitize the nerves of the tooth that is causing the ache. A simple paste made with cinnamon and honey can help provide toothache relief. Mix one teaspoon of cinnamon powder with 5 teaspoons of honey, then apply a small amount of this paste directly onto the aching tooth. Store the remainder in a small container at room temperature. Continue to apply a small amount to the aching tooth 2 or 3 times per day until the pain is relieved. Black Seed Oil has been found to be very effective at treating toothaches. To alleviate the soreness and pain, simply rub a small amount of the oil on the affected gum and tooth, and repeat for 15 seconds. You can also mix a half teaspoon of Black Seed Oil in a small glass of warm water, and gargle with it. The active ingredients in Green Tea can help treat infections and reduce inflammation. Therefore, a simple remedy for toothaches is to drink two cups of Green Tea daily while symptoms are present. Gupta C, Kumari A, Garg AP, Catanzaro R, Marotta F. "Comparative study of cinnamon oil and clove oil on some oral microbiota". Dec 2011; 82(3):197-9. @ Linda, Cinnamon and Cloves both have antibacterial activity. You can mix cinnamon or clove in honey for toothache relief. However, according to a study Cinnamon oil was found to be more effective than clove oil. Cinnamon appeared to have a broad spectrum of antibacterial activity inhibiting all the ten test bacterial species involved in dental decay. To learn more about the Cinnamon vs. Cloves study, follow the link below. I was always told that Cloves & Honey for a tooth ache, but you are saying cinnamon with honey - cloves aren't listed? I was taught cinnamon & Honey is good for a cough. Clarify please. I was diagnosed with H. Pylori and was looking for some holistic ways of getting rid of it. One of the remedies was mixing 2 grams of black seeds with 4 grams of honey. At the same time, I had a severe toothache. I was so afraid of putting the honey and black seed mixture in my mouth fearing it would really hurt to put something sweet like honey and hard like black seed into my mouth with cavities in my teeth. But I really wanted to get rid of the H. Pylori, so I put the mix into my mouth, and to my total surprise, it didn't hurt, in fact it felt better. Then I remembered that honey was used as a remedy for toothaches, so I looked on the Internet to see what would come up for toothaches and this site came up. I find that not only honey but black seeds and also cinnamon which I also used to alleviate H. Pylori is good for toothaches. Amazing! Had immense pain in my tooth and jaw! Dentist couldn't find anything wrong! Nothing had worked to dull the pain but....I tried cinnamon and honey which were the only things I had on hand - wow! What a difference almost immediately! Thanks for the info! Thanks so much because the black seed oil works wonders. For toothache, nothing works like fresh Selected Miswak (natural toothbrush) made from Salvadora Persica. I have a lot of experience and have read a lot on this topic. Coconut oil, activated charcoal (works down to the bone), colloidal silver, sliver of garlic clove, clove oil, iodine, and salt water. The best is the colloidal silver, second best is activated charcoal, third best is clove oil, then coconut oil. The bacteria in the mouth is sucked up by the charcoal and then you spit it out . Brush it on before bed and leave it till you wake up. If you want good teeth you need a few things to keep them safe, sugar only is not the culprit. Vitamin D-3 needs K-2 to go into your cells. Vitamin K is in kelp and helps teeth to renew. Vitamins A and E are important to teeth. Vitamins C helps the gums heal. Magnesium helps Calcium go in the cells and you need lots of minerals for healthy teeth and bones. MSM helps the collagen and fights bacteria, molybdenum heals the enamel on the teeth. 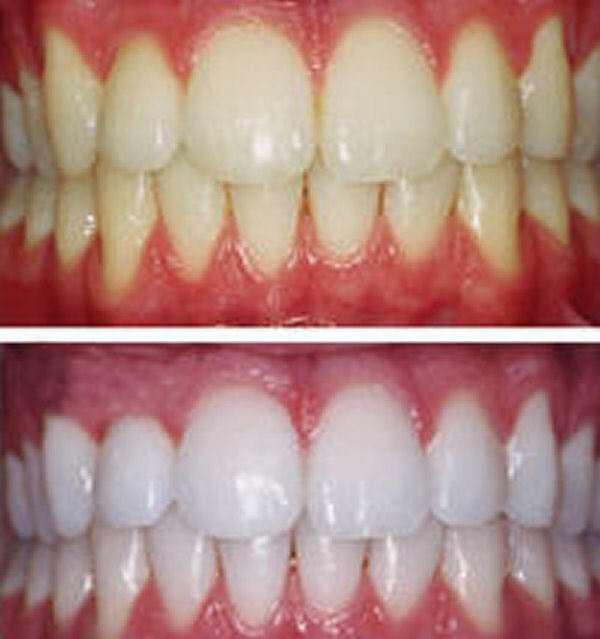 Alpha lipoic acid (an anti-oxidant) knocks down dental pain. If you google "teeth" you can find lots of sites with testimonials to help encourage you on your journey to healing. Blessings, Kay. Peppermint oil and cinnamon helps with Toothache.